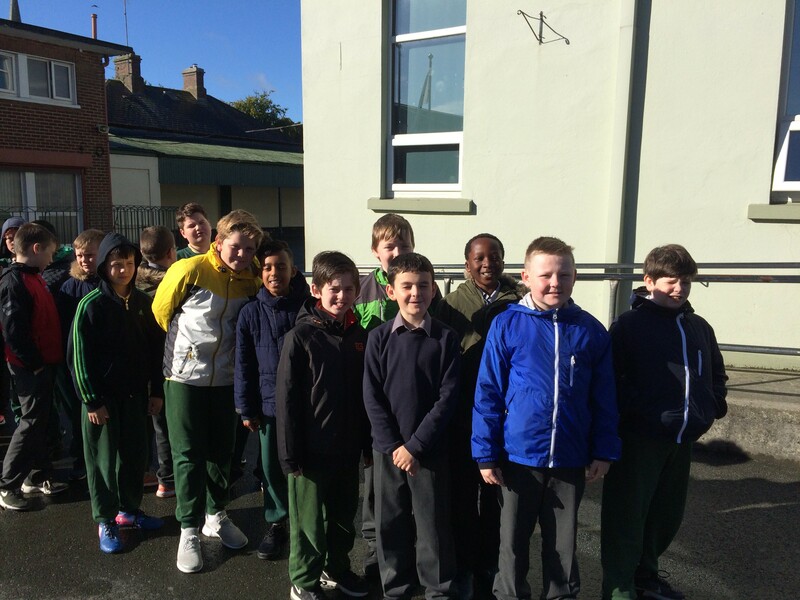 R6 went on a walking tour of Drogheda on 21st September. 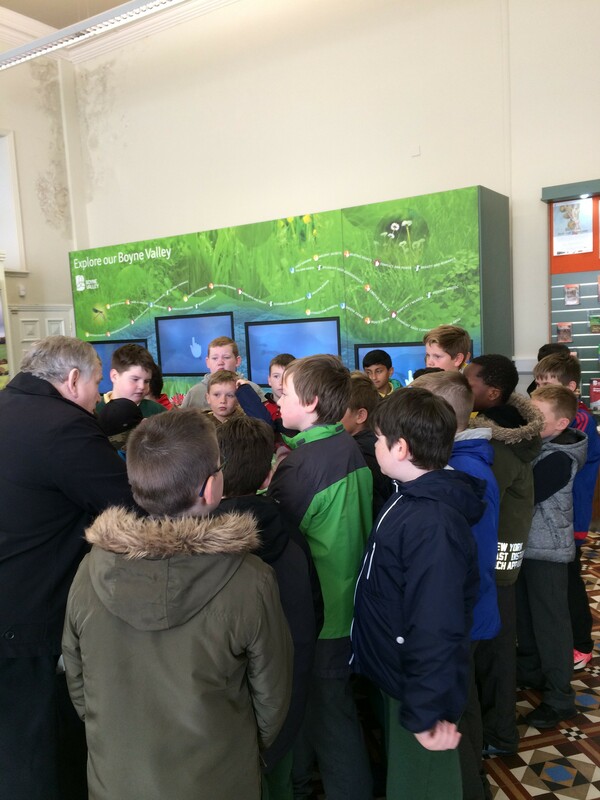 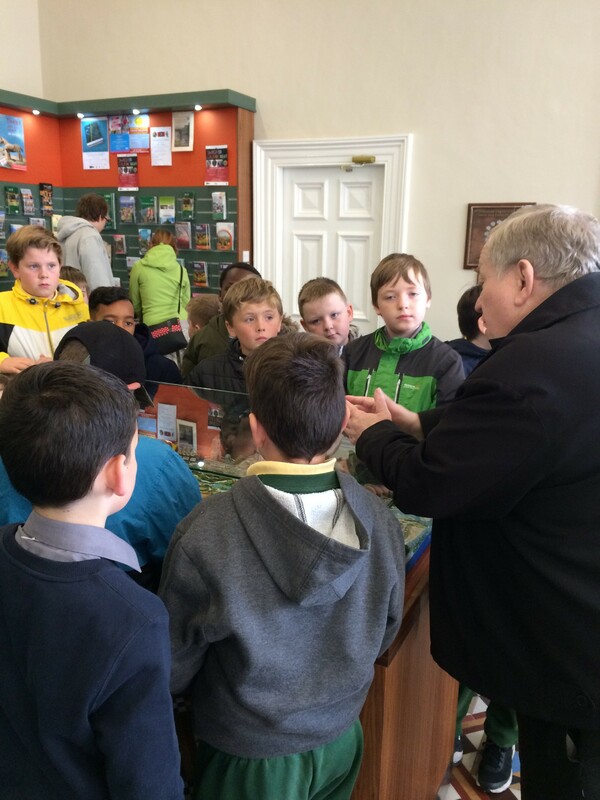 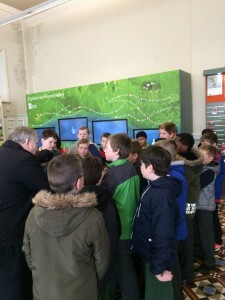 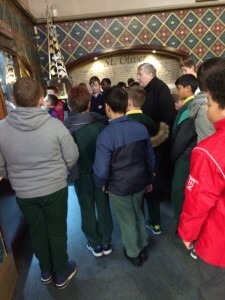 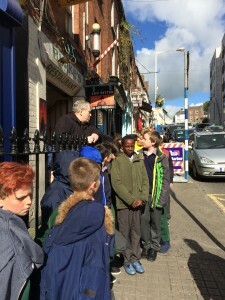 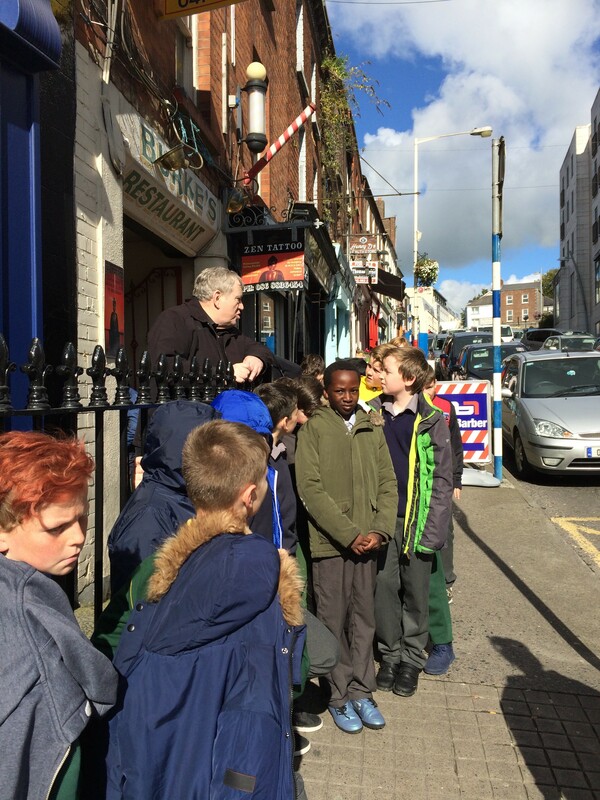 The tour was led by local historian Liam Reilly. 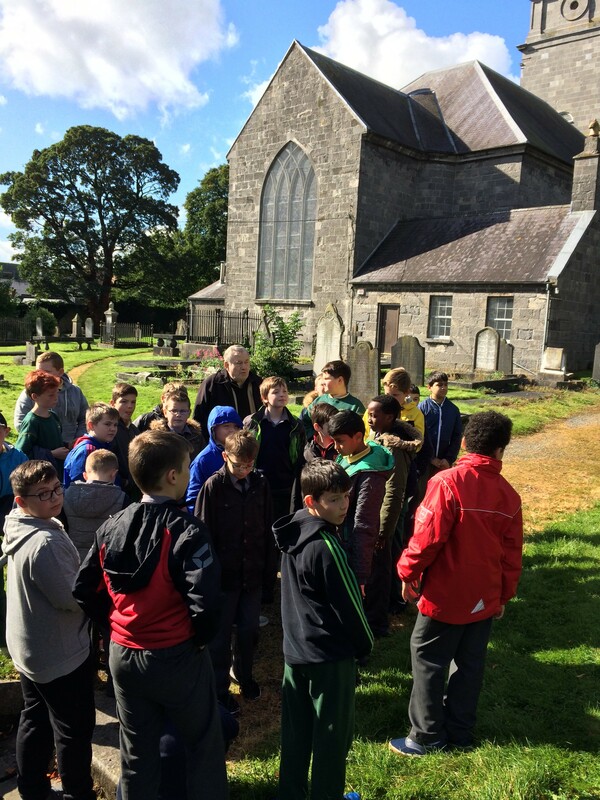 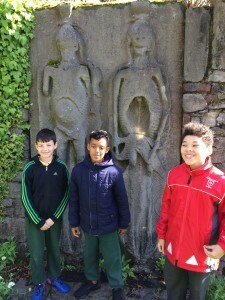 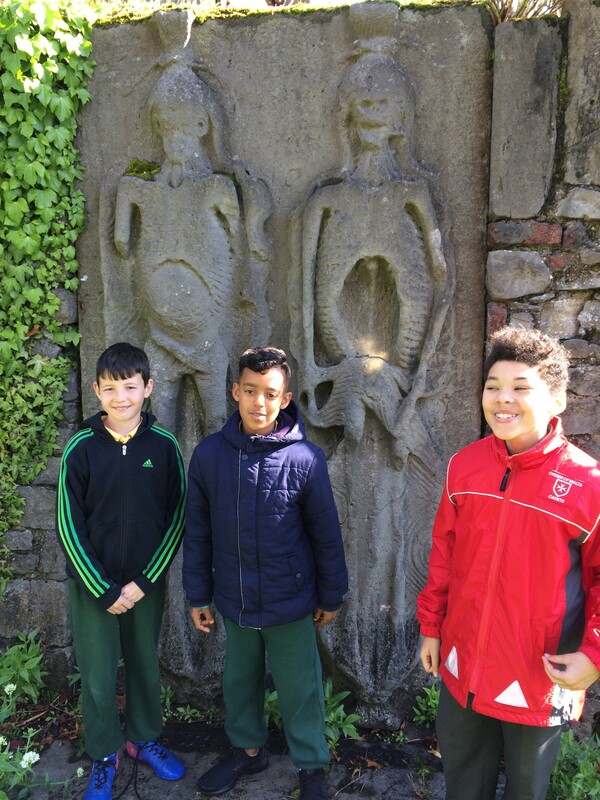 We started off at the Tholsel, then went to St Laurence’s Gate, St Peter’s Church of Ireland graveyard and finished with St Oliver Plunkett’s head in St Peter’s Church, West Street. The sun was shining and a great day was had. 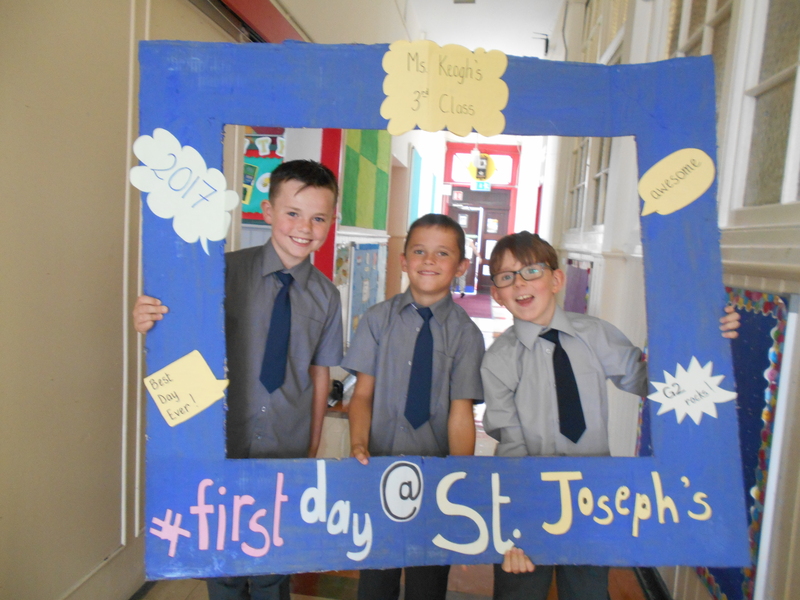 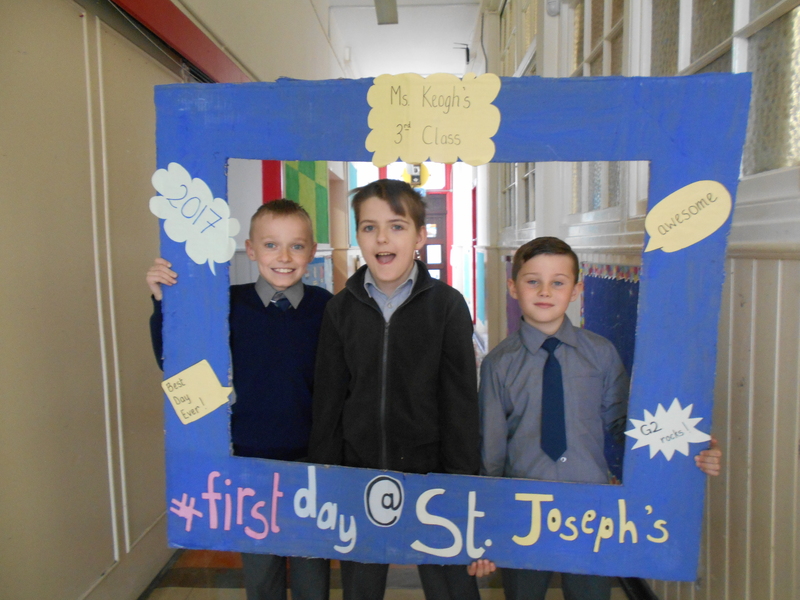 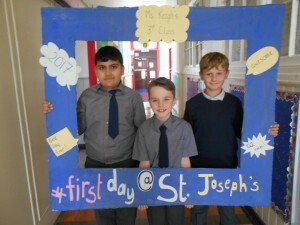 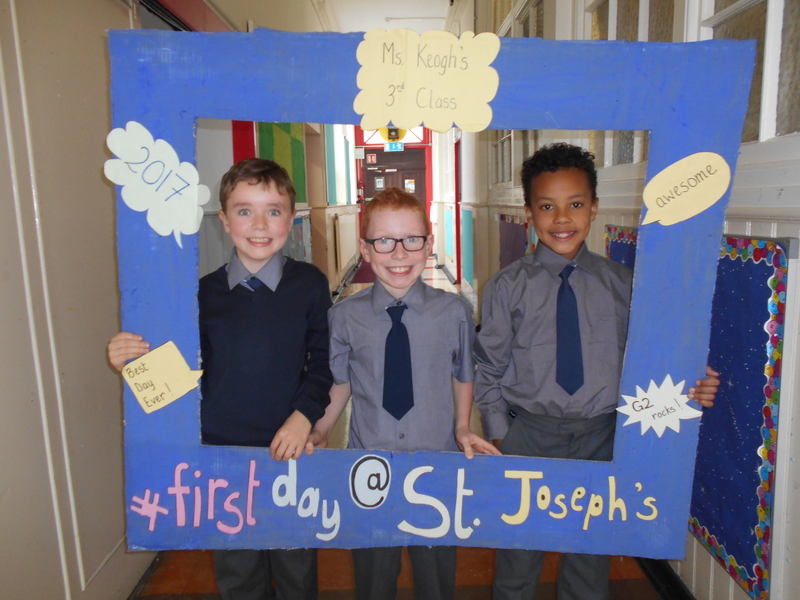 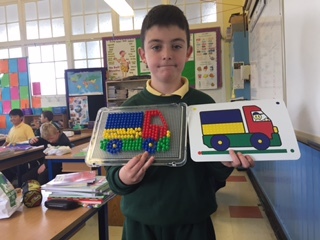 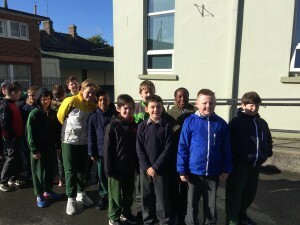 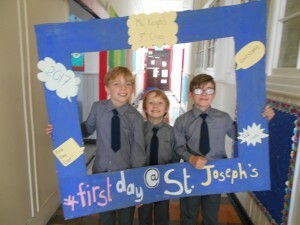 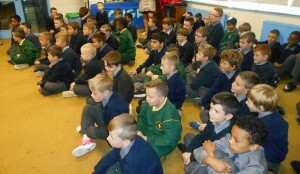 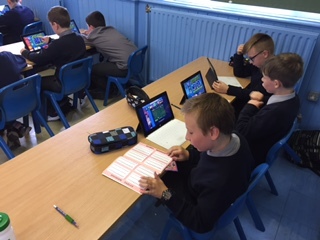 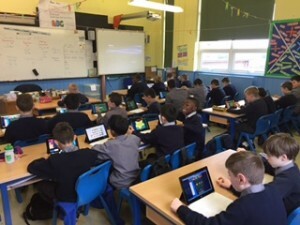 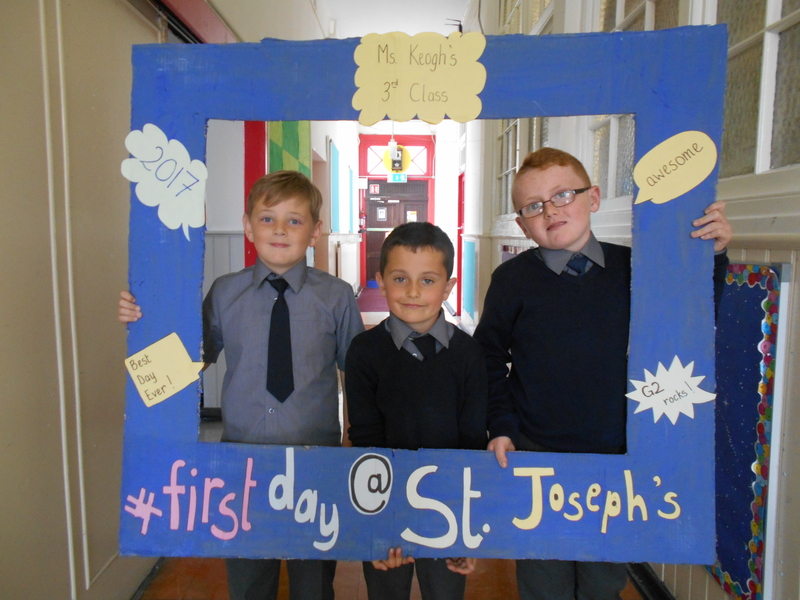 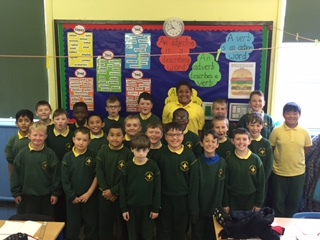 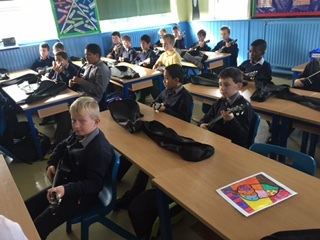 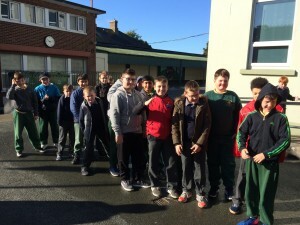 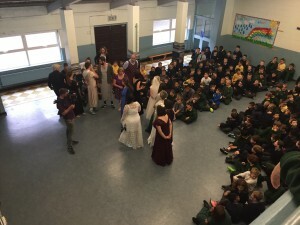 Welcome back to all the children for an exciting new school year in 4th Class. G4 are looking forward to a fun year and opportunities to develop and learn new skills and talents. 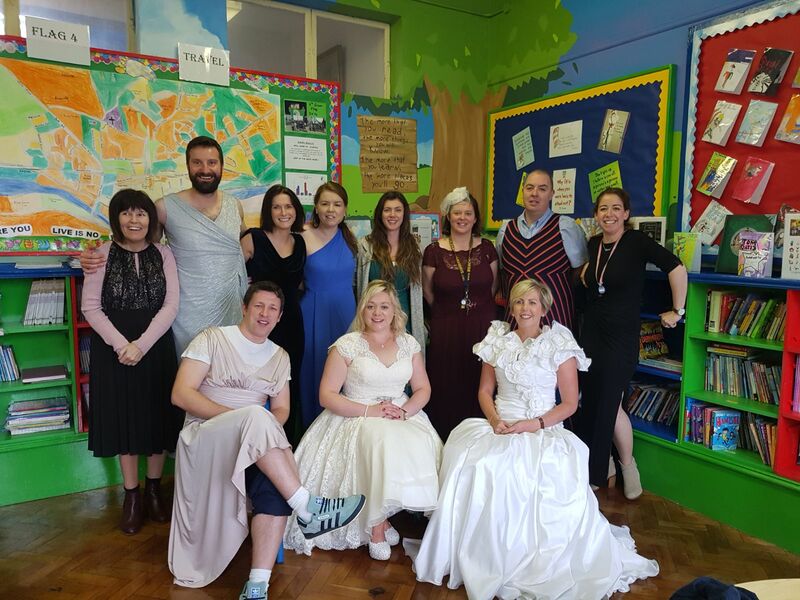 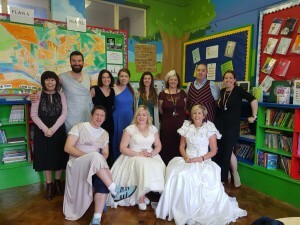 Well done to our staff members who took part in Today FM’s Wedding Dress Wednesday as part as the Dare to Care campaign in aid of the Irish Cancer Society. 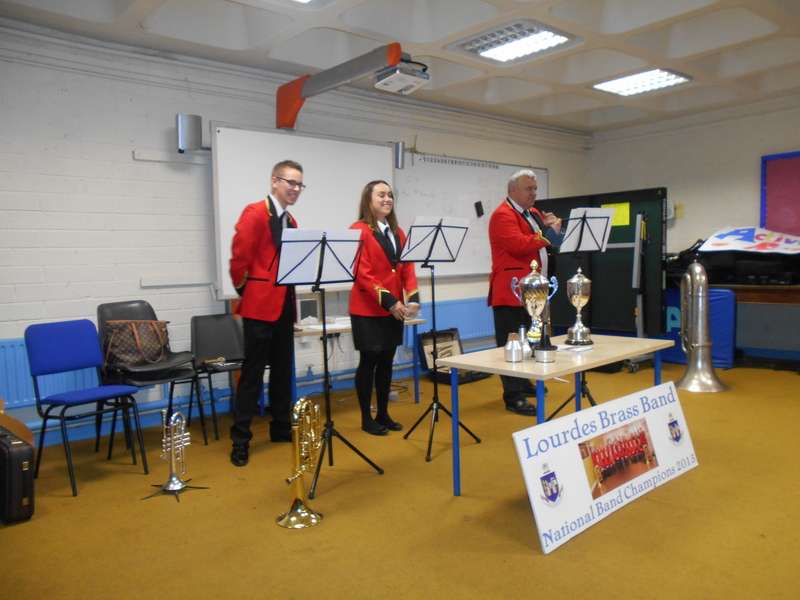 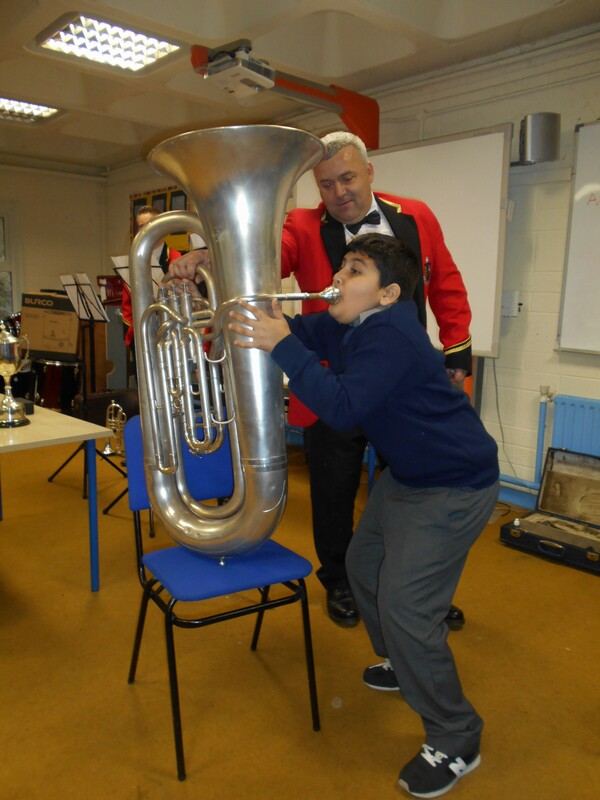 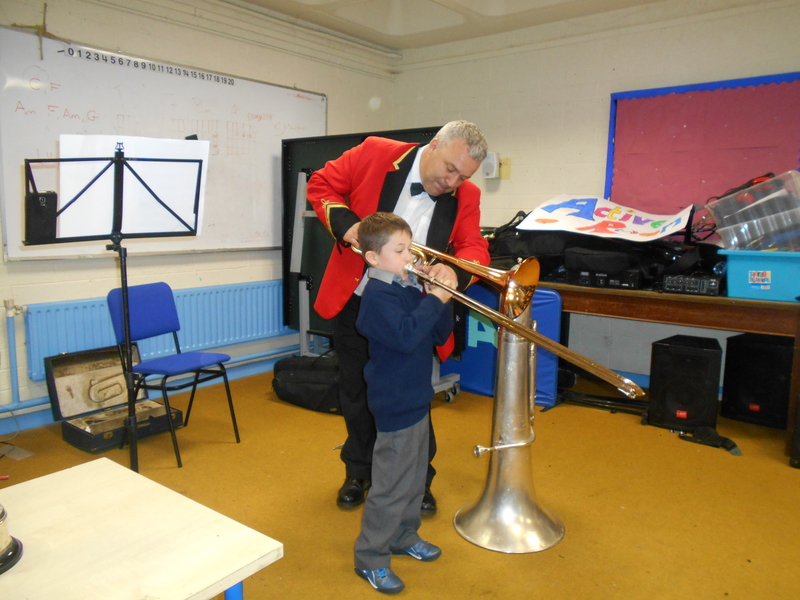 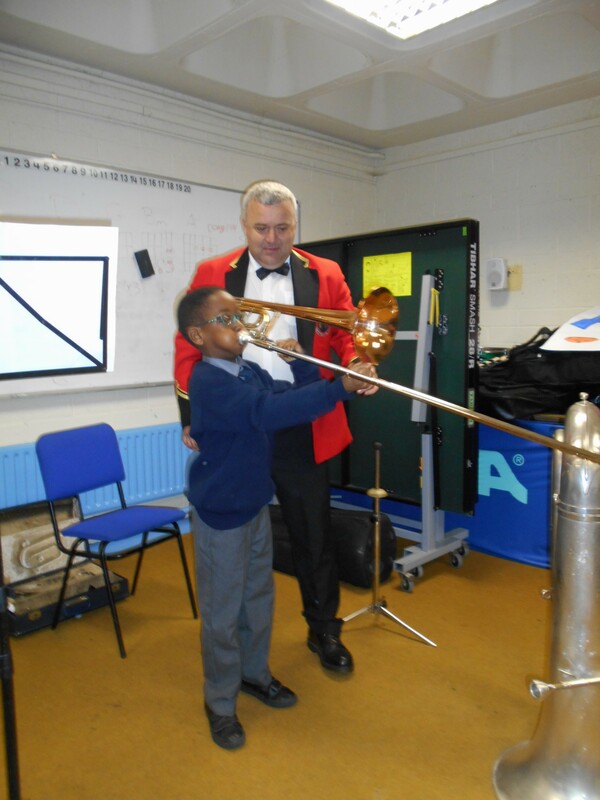 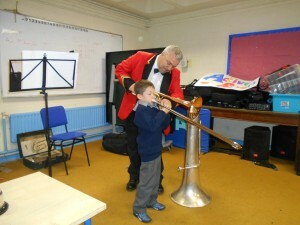 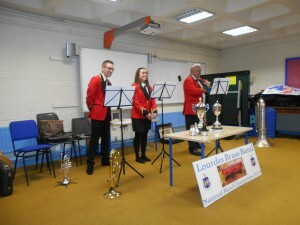 The third classes were lucky to get a mini concert from the Lourdes Brass Band last Friday. 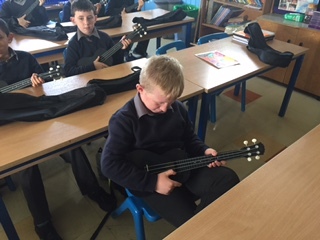 They learned about the instruments they play and the different sounds they make. 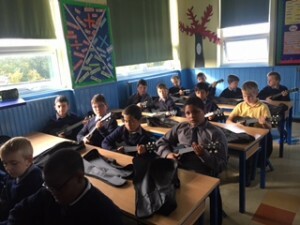 Some boys were picked to try them out. 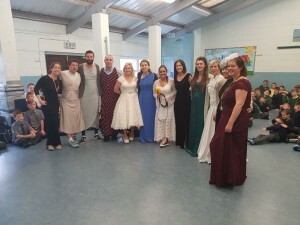 Even the teachers gave it a go! 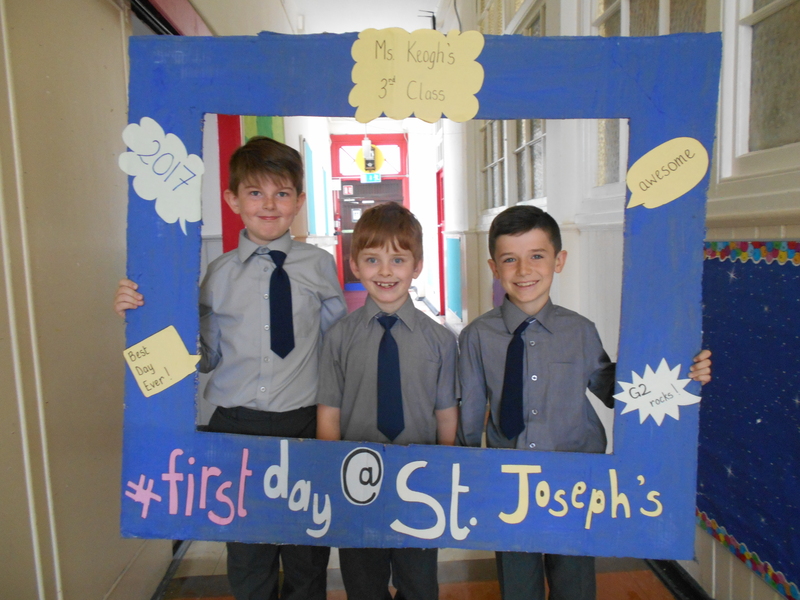 Welcome to all of the third classes! 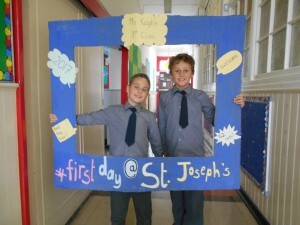 G2 were busy capturing pictures of their first day at St. Joseph’s C.B.S.